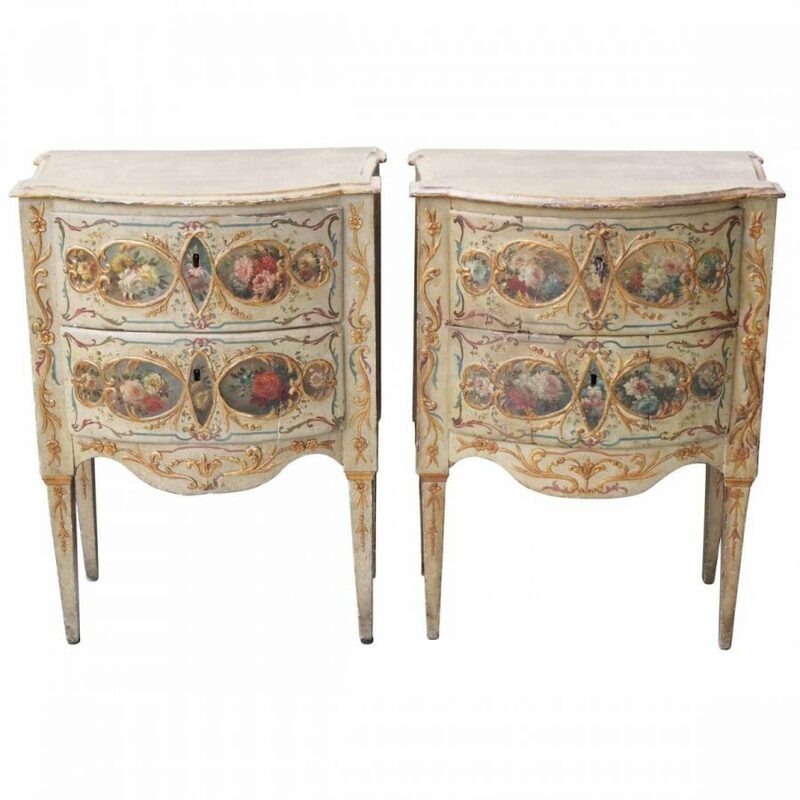 Pair of early 19th century Venetian painted commodini. Painted with medallions of floral motif with foliate decoration surrounding. Faux marble tops.